An Introduction. Novelists stake their claim as artists on works that encapsulate a whole world of characters and narrative across many, usually hundreds of pages. 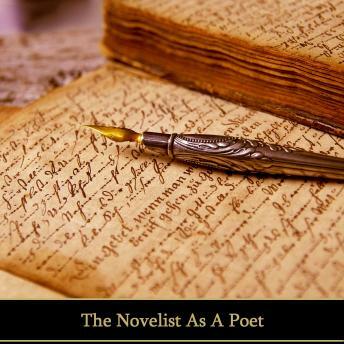 Some also take in other disciplines; plays, short stories, essays but many have also written poetry. For some it is even their first love but for their audience it is too often forgotten; relegated behind their longer works. Charles Dickens, Jane Austen, The Brontes, George Eliot, Thomas Hardy are but a few of our illustrious authors who here reveal works every bit as tender, as expansive and just as good as their longer forms of work. Each would make a fine poet in their own right. We're glad to be able to bring you another side to these incredible talents. Our readers include Richard Mitchley and Ghizela Rowe.